Rebecca is a true local to the area raised in Cardiff-by-the-Sea, North County Coastal San Diego, and resides in Encinitas. She has been in the industry for 19 years. 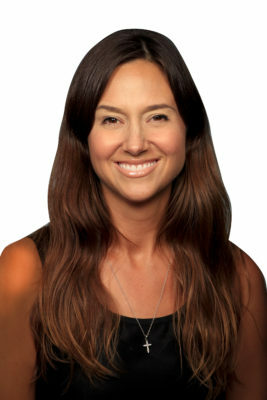 After graduating from San Diego State University in Communications with an emphasis in Advertising, she began her career in a Wells Fargo Home Mortgage builder division and after in-depth training in the mortgage industry, she joined Prudential California Realty in Del Mar, one of the country’s top-producing real estate offices. Four years later Rebecca joined the La Costa Resort Villas new construction sales team and with her help, they sold the 81 luxury condo-hotel vacation homes in three short years. During her 11-years at La Costa Resort Real Estate, she was the top performer of high-end resort vacation homes as well as luxury homes and investments from Oceanside to Downtown San Diego. Having focused on coastal residential developments and luxury lifestyle resorts, she understands the buyer mindset and discriminating taste at varying price points. Many of her clients come from outside the area, other areas of California but also Arizona, Nevada, Florida, Hawaii, Colorado and many other states. Rebecca has also represented international buyers from Dubai, Switzerland, Canada, and Hong Kong among others. In her new role as a partner of San Diego Residential Solutions, she is collaborating with a group of entrepreneurs with real estate sales, leasing and principal investment expertise with deeper access to investors and seniors. Rebecca Van Wieren is by far and away the best realtor I have ever worked with. She is responsive, reliable, creative, organized and goes the distance in every situation. Rebecca helped me understand the entire mortgage process as well as creatively introducing me to my chosen community in San Diego. There was a lot to learn about the unfamiliar area of Carlsbad. I did not make it easy as I wanted a particular style of house, not really prevalent in San Diego. Rebecca persevered and found exactly the house I wanted. She handled the negotiations in a timely, professional, and upbeat manner. There was no stress and all went smoothly. It was pleasure to put my trust in the hands of a Professional who delivers what she promises. She is without question the best real estate agent I have ever worked with in the last 50 years…She continuously went above and beyond what she had to do to make sure my short sale closed…Incredibly smart, diligent and professional. A great experience.